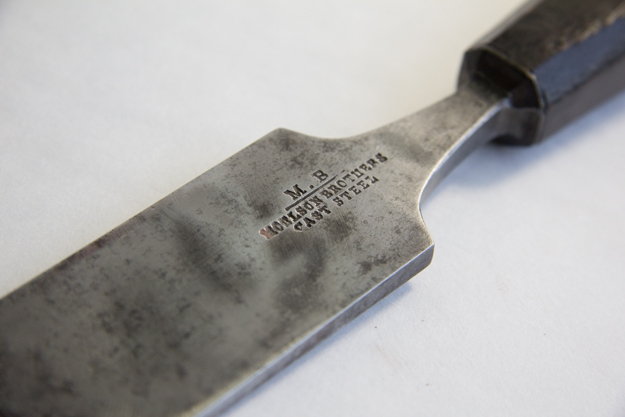 The Workbench Diary: Moulson Chisel Contest Winner Announced! Moulson Chisel Contest Winner Announced! Well, the Moulson Brothers 1 ½” chisel giveaway contest is complete and I’ve spent a good amount of time combing through and thinking about each response I got at the Diary, Instagram, and Facebook. As I said last week, there is no wrong answer to the question of why you choose hand tools. We all choose our tools for personal reasons. I got so many comments about the connection to the material be worked, and the peacefulness of the shop environment, and the tactile quality of the finished surface. All of these things I agree are significant. Congratulations, Stuart. You have been selected as the winner of the contest! Please send me an email and I’ll get the tool shipped out ASAP! Thank you! For all else… stay tuned for the next giveaway! This was too fun not to do again real soon! Well done Stuart! I really enjoyed this competition and it was fun to reflect on this topic and read the thoughts of others. It was surprisingly difficult to try and express the hows and whys of hand tool woodworking but I found myself nodding in agreement with each entry I read.